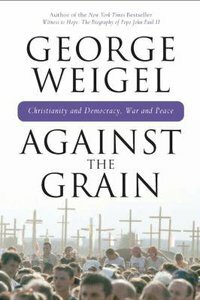 Cutting against the grain of conventional wisdom, New York Times bestseller, George Weigel, offers a compelling look at the ways in which Catholic social teaching sheds light on the challenges of peace, the problem of pluralism, the quest for human rights, and the defense of liberty. In this major contribution one of America's most prominent intellectuals offers a meticulous analysis of the foundations of the free society as he makes a powerful case for the role of moral reasoning in meeting the threats to human dignity posed by debonair nihilism, jihadist violence, and the brave new world of manufactured men and women. George Weigel, a Senior Fellow of the Ethics and Public Policy Center, is a Roman Catholic theologian and one of America's leading commentators on issues of religion and public life. He holds the William E. Simon Chair in Catholic Studies at EPPC. Weigel is the author or editor of seventeen other books, including Catholicism and the Renewal of American Democracy, Soul of the World: Notes on the Future of Public Catholicism, The Truth of Catholicism: Ten Controversies Explored, Letters to a Young Catholic and The Cube and the Cathedral: Europe, America, and Politics Without God . His weekly column, "The Catholic Difference," is syndicated to sixty newspapers around the United States.